Excellent science is at the heart of NPL's activities – driving innovation, supporting industry and improving quality of life, both for the UK and internationally. We maintain a wide portfolio of internationally-visible research programmes that advance measurement science, underpin the SI system of measurement units and support cross-disciplinary technologies. We deliver solutions with the potential to provide major social and economic benefits across advanced manufacturing, digital, energy and environment, and life sciences and health. Our research knowledge on metrology and measurement allows technological innovation and forges a stronger link between laboratory and market. Science quality at NPL is monitored internally by our Research Director; Heads of Science, Engineering and Metrology; and key scientists; and externally via our Science and Technology Advisory Council. We regularly produce independent and international reviews of our science and engineering capability, quality and impact. As a national laboratory, our advice is always impartial and independent, meaning consumers, investors, policymakers and entrepreneurs can be confident in our research and advice. We carry out research covering a wide variety of disciplines and areas. Take a look and find out about the amazing work we're doing. NPL is the UK National Metrology Institute and provides advice and information to industry, regulators and academia on a range of international metrology issues. We represent the UK, both at a technical level and at the highest level of metrology, on many international networks and committees. We have more than 350 world-class laboratories, which enable the highest precision measurements to be realised. We contribute to the National Measurement System and deliver new advancements that deliver real impact on prosperity and quality of life in the UK. Home to over 500 scientists employed across almost every discipline, from physicists to biochemists, and mathematicians to materials scientists, we push the boundaries of what is possible. 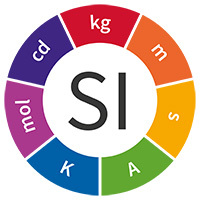 The Postgraduate Institute for Measurement Science (PGI) is a strategic partnership between the University of Strathclyde, the University of Surrey and the National Physical Laboratory. It is a unique, multi-disciplinary UK national centre for postgraduate research and skills development in metrology and its applications.